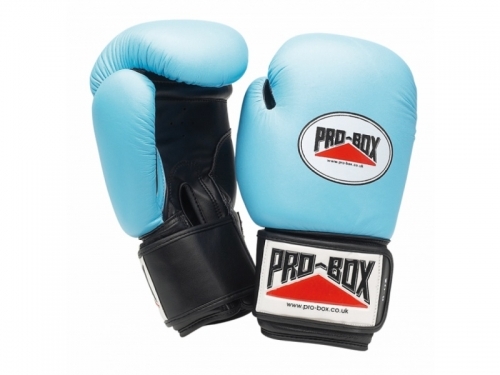 'BABY BLUE COLLECTION' LEATHER/PU TRAINING GLOVES. Leather training gloves with moulded foam filling and touch fastener wrist fastening. Size 10oz.